Based in South-West London, Optimal Removals is a small, family-run removals company. Our small size and family atmosphere allow us to give the highest level of attention to each and every one of our customers. We treat each customer as an individual, and work with them to provide the moving experience that suits their particular circumstances. Our reputation is important to us, and so our experienced staff are trained to the highest level of service. We place an emphasis on reliability, punctuality and customer care so that every single one of our customers can rely on the very best moving experience. The Optimal Removals philosophy is based on customer service and we always aim to reduce the stress of moving by providing a flexible, reliable, and individual service. At Optimal Removals we specialise in household removals, transportation and man-with-van services. Although we are based in South-West London we are happy to provide transportation and moving services from outside London to the city, from the city to an outside location or from one London location to another. We work with both businesses and households to provide superior transport and removal services with impeccable levels of customer service. 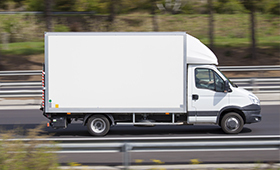 Whether you require help with moving an entire business or household or simply need a man-with-a-van for a small project, Optimal Removals will be pleased to provide you with the highest level of service. Optimal Removals provides high quality cleaning services. We do commercial cleaning services as well as residential cleaning services. Our highly skilled team of cleaners can clean your house after you are moving out, your house on a regular basis and clean offices, shops, restaurants and theaters. Our company provides not only removals in Putney South West London, from where we have most of our clients but we also provide removals in Merton, removals in Morden, removals in Sutton, removals in Surbiton, removals in Kingston. In these areas our company is well known of high quality and quick service. Moreover if you are looking for somebody who will help you with removals in Surrey, removals in Croydon do not hesitate to choose us. Our well trained staff will help with packing and unpacking. And finally we have very good news for those who need removals in Richmond, removals in Hammersmith and Fulham we also provide there our services. So do not risk and contact with us if you need reliable man and van who will transport your items.